Today’s Cool Science Radio program is a special program on Extreme weather. John and Lynn have assembled an esteemed panel to help navigate many of the questions they have. The Panel is composed of Dr. 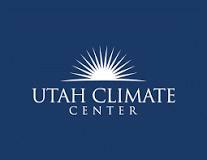 Rob Davies a physicist and Associate of the Utah Climate Center and Brian McInerney who is the Senior Hydrologist with the National Weather Service Forecast Office in Salt Lake City, Utah.